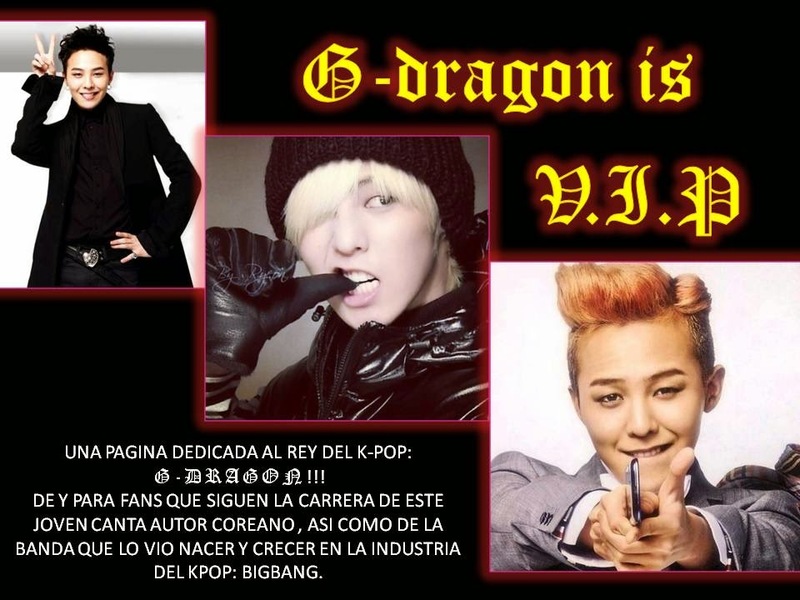 G-DRAGON IS V.I.P: BIGBANG: PREPARANDO EL NUEVO MV PARA SU NUEVA CANCIÓN!!! 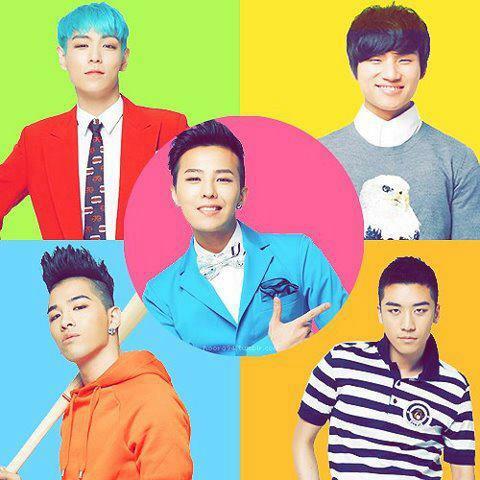 BIGBANG: PREPARANDO EL NUEVO MV PARA SU NUEVA CANCIÓN!!! SIP. AUNQUE USTED NO LO CREA!!! LOS CHICOS DE BIGBAN ESTÁN LISTOS PARA GRABAR UN NUEVO VÍDEO MUSICAL. EMPRESARIOS DE LA YG HAN CONFIRMADO LA GRABACIÓN DE ESTA NUEVA CANCIÓN INEDITA DE ESTA BOY BAND COREANA, LA CUAL NO PERTENECE AL 5° MINI-ALBUN QUE ACABAN DE LANZAR EL PASADO 29 DE FEBRERO. ESTO DEJA ABIERTA LA POSIBILIDAD DE QUE LA BANDA ESTE PREPARANDO UNA EDICIÓN ESPECIAL EN LA CUAL VAN A INCLUIR ESTE TEMA; DEL CUAL AUN NO SE SABE NADA!!!! SEGÚN INFORMACIÓN DE LA YG, EL VÍDEO SE ESPERA GRABAR ENTRE EL 18 Y 20 DE ABRIL. ALGUNOS SE HAN PREGUNTADO, "¿CUAL ES EL MOTIVO DE QUE ESTÉN EMPEZANDO UN NUEVO PROYECTO TAN PRONTO?". YA QUE AUN NO ACABAN DE COSECHAR LOS TRIUNFOS QUE "ALIVE" AUN TIENE PARA ESTA BANDA. LA YG TAMBIÉN HA COMENTADO QUE AUN NO PUEDEN REVELAR NADA A CERCA DE ESTE PROYECTO QUE TIENEN EN PUERTA, PERO QUE ESTEMOS PENDIENTES DE CUALQUIER INFORMACIÓN. ASÍ QUE VIP´S, ENVERAD QUE LOS EMPRESARIOS DE LA YG NOS QUIEREN VOLVER LOC@S Y MATARNOS DE NERVIOSISMO, ESTRÉS, DE NOCHES EN VELA POR ESPERAR LAS NOTICIAS DE BIGBANG. NO CONFORMES CON TENER A TODO EL MUNDO PENDIENTE DE LAS FECHAS DEL "TOUR ALIVE 2012", QUE POR CIERTO, CADA DÍA LA ESPERA ES UN MARTIRIO PARA TODOS LOS LATINOAMERICANOS; Y QUE MUCHOS AUN NO PERDEMOS LA ESPERANZA DE VER EL NOMBRE DE NUESTRO PAÍS EN ESA SAGRADA LISTA. AHORA A ESPERAR DE NUEVO ESTE VÍDEO, QUE COMO SABREMOS Y ES DE ESPERAR SERA TODO UN ÉXITO EN LOS CINCO CONTINENTES.